Believe us when we say there is a method to our madness. We need a handful of merchant account documents when we board merchants – we call them KYC documents, for ‘Know Your Customer’ – whether they be startups or those changing their merchant account provider. It is all in the name of legitimacy and transparency. The utility bill is just one merchant account document that ascertains proof of something – in this case, it certifies proof of residence or workplace. Bank Application: Completed in full and signed. SS4 Document: An SS4 document is an IRS document showing the business’ registered EIN number for tax purposes. We also accept a W9 form. Photo Identifications: Valid photo identification of all the business owners who own 10 percent or more are required because the acquiring bank must know who the majority owners are in any business. Voided Check: A voided check must contain the business’ exact name. It also certifies that the business has a valid business checking account. Utility Bill: The utility bill – which can be either the gas, electric or cable bill – must be no more than three months old when submitted with the merchant account application. As noted above, it serves as proof of residence in the U.S.
Business Bank Statements or Business Bank Letter: We need the last three months’ worth of banking statements which ascertain a business is operating and functional. We’ll accept a business banking letter from startup businesses who are functional, but have not begun accepting transactions yet. Credit Card Processing Statements: Three months of credit card processing statements are required for business that process credit card transactions. These statements show chargebacks and refunds as well as the volume your business does. Website or Marketing Material: Your website shows the acquiring bank exactly what your business is selling. For businesses without a website, we require marketing material and a business plan so that we can see how the merchant intends to drive sales. Instabill will accept your merchant account documents all at once or one-by-one as completed during the application process. Your dedicated merchant account manager doesn’t just get you started; but remains as your consultant for the life of your relationship with Instabill. 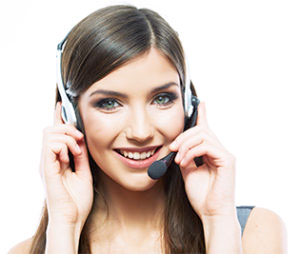 Experience the best customer support at 800-318-2713 (Monday-Friday, 8 a.m.-6 p.m. US eastern time) or by clicking on the live chat option below.